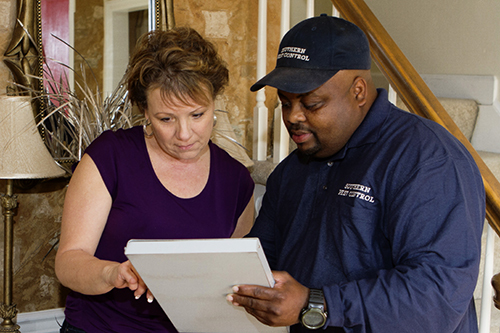 San Antonio Pest Control exterminators at Sovereign are committed and dedicated to providing premium pest management and exterminating services for San Antonio, Texas homeowners. Our San Antonio Pest Control trained and certified licensed exterminators will provide homeowners a customized treatment plan for identified infestations of termites, ants, carpenter ants, earwigs, roaches, spiders, crickets, millipedes, centipedes, rats, mice, pill bugs, and silverfish. Once an infestation is discovered our San Antonio Pest Control technicians will utilize the most advanced, family and pet friendly products available to protect your investment. All of our San Antonio Pest Control technicians are registered by the Texas Department of Agriculture. We have extended our San Antonio Pest Control service area to include homeowners residing in Bexar County, Comal County and Guadalupe County. Discounts are available on Specialty Service options. Call today for a quick, no-obligation San Antonio pest control quote at no cost. 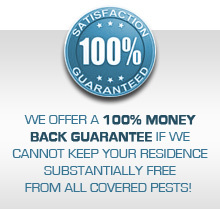 Learn more about our San Antonio Pest Control and exterminating services that include a 100% money back guarantee. Ask about the $50 discount off yearly service for every referral that becomes a service plan customer. Refer your friends, family and neighbors and save on your service. All you have to do is submit the information on the referral form. If your friend purchases a service plan, Sovereign Pest Control will give you a $50 discount off your service.